The rate of new home sales increased in May to an annual level of 546,000, the highest since February 2008 as the housing market of the mid-2000s started to deflate. The May figure is 2.2% above April and puts the first two months of the second quarter at 3.8% ahead of the first quarter. Regional results were more varied with the Northeast up 87.5% as it recovered from a late winter and the West up 13.1% from an usually low April. The West level was in line with the first quarter average. The Midwest was down 5.7% but from an April that was the highest in a year and the South was down 4.3% but the two month average was still better by 5.6% from the first quarter. Inventory remained steady at 206,000 but because of the increase in sales, the months’ supply fell to 4.5, tied with February 2015 for the lowest since June 2013. Median sales price was down 1% from May 2014 as more homes below $150,000 were sold. 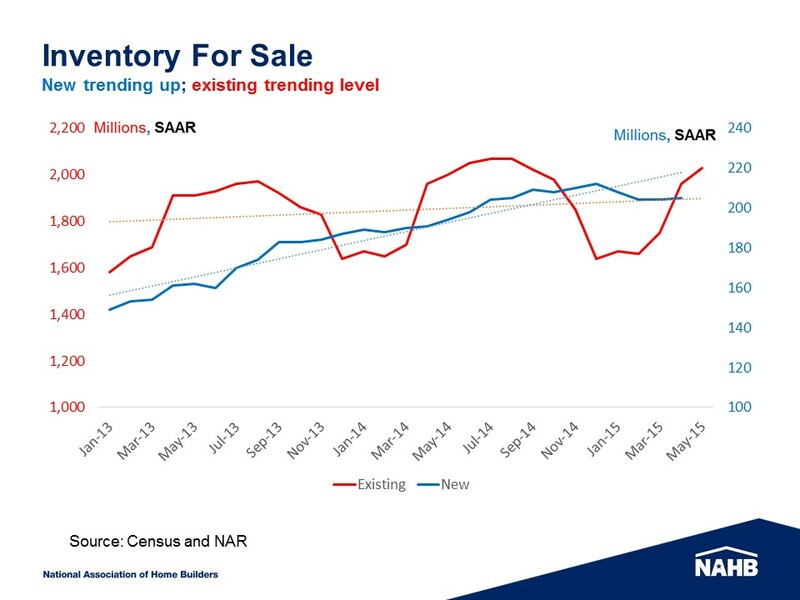 New home inventory has been rising over the last three years while the existing home inventory has gone through cycle without a significant trend change. Since most new home buyers are existing home sellers, the inventory and sales rate of existing homes is an important ingredient in new home sales. The most recent rise in existing home sales suggests new home sales will benefit. New home inventory is also dependent on home prices and return to the home builder. Rising costs for land and labor pushes up the ultimate price of new homes. But, as substitutes, existing home prices provide a lid on new home price movement. 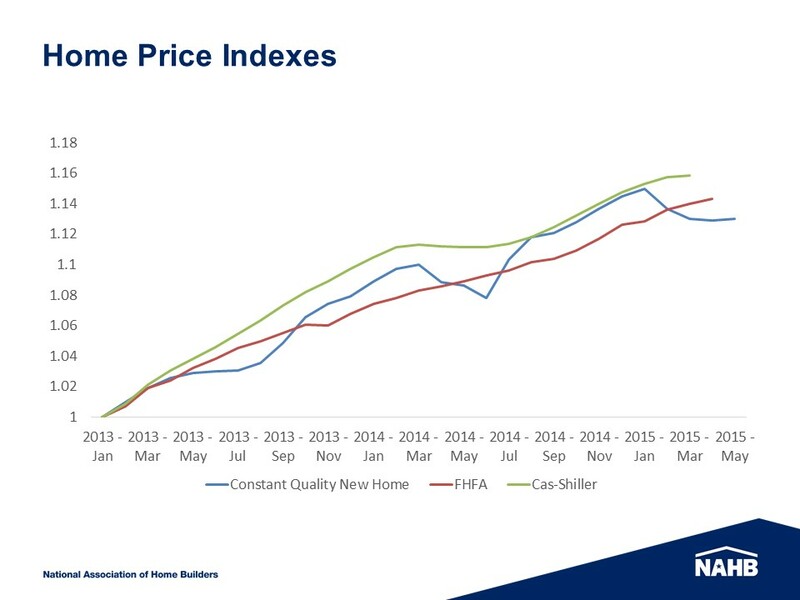 The rise in existing home prices as measured by same house indexes have calmed recently and do not provide significant room for new home prices to rise much beyond those indexes.